View and pay your bill online with PMT Ebill. When you sign up for paperless bill you receive a $1 credit per month. 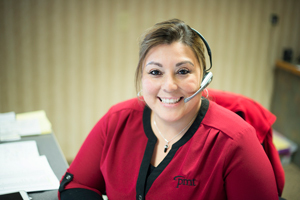 Never worry about paying your PMT bill again. When you sign up for PMT AutoPay, we automatically process your monthly service billing by way of credit card or debit entry from your bank account. Simply fill out the AutoPay Form and return to your nearest PMT office or email to accounting@pmt.coop.